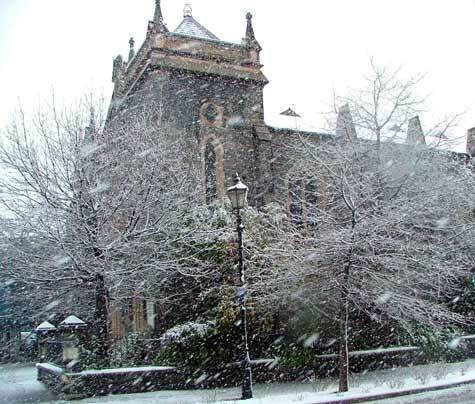 Christchurch has occasional heavy snowfalls in winter. This one, in 2005, transformed the area near the Durham Street Methodist Church into a scene reminiscent of an English town at Christmas. The church collapsed in the February 2011 earthquake.